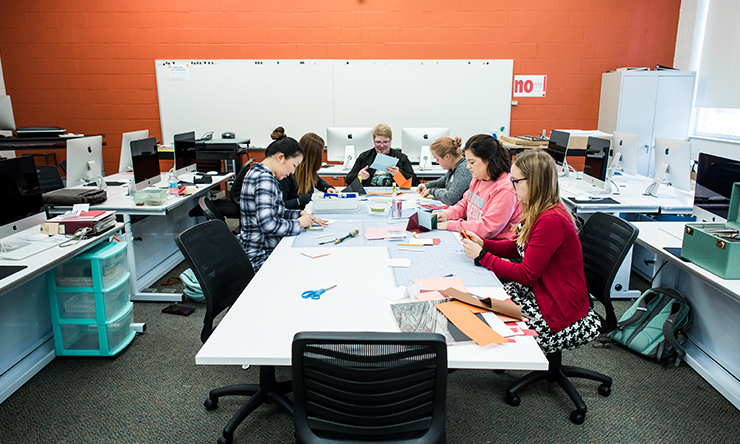 Whether you want to capture the attention of the world through graphic design, share your artistic voice through painting or drawing, or specialize in the unique expression of book art, St. Ambrose has a program that will support and challenge your creative growth. Our graduates work at the Figge Art Museum, Jeff Koons Studio New York, Genesis Health Systems, and others. Our undergraduate art programs are rigorous, yet nurturing. You will benefit from unique opportunities to excel at what you love and be guided by faculty who strive to inspire your growth as a person and an artist. Extend your compassion for others through a career in art therapy. 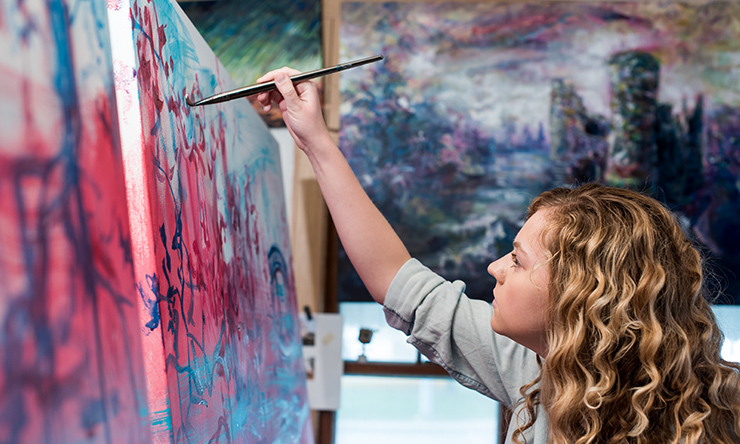 Paired with a psychology or art major, you can advance to graduate school to earn a degree in Art Therapy. As an art therapist, social worker, or psychologist, you will help people needing a different way to express their thoughts and feelings. Scroll down to learn more. You will get a contemporary and complete art experience that allows you to think critically and prepare you for a professional career in your chosen field. During your first year of study, you will master basic drawing and hand skills, problem-solving, writing, and learn how to conduct relevant and accurate research. In later semesters you will learn to synthesize influences and establish an original voice. As a professional artist, you have a slew of career opportunities available - not just in typical art industries such as museums and galleries, but in virtually every facet of work. The Art Department and student art facilities are housed in the Galvin Fine Arts Center. Our main drawing and painting studio is 1,600 square-feet of beautifully-lit open space. Graphic design classes are held in Mac computer labs and our book arts/printmaking/papermaking studio is not only unique, it is fully equipped. Galvin features two public galleries – the Morrissey and Catich – for students to exhibit their work. Some foundation and advanced courses are held in studios at the Figge Museum in downtown Davenport, and as a huge bonus, our students can visit the museum's collection, attend lectures, and participate in workshops for free. After graduation, Brittney Allen '14 interviewed for a summer internship at Lynco Products. They were so captivated by her work they created a full-time position for her. Munir Sayegh '11, a double major in graphic design and marketing, was awarded a post-graduate Fulbright Scholarship to study Arabic calligraphy and typography in Egypt. 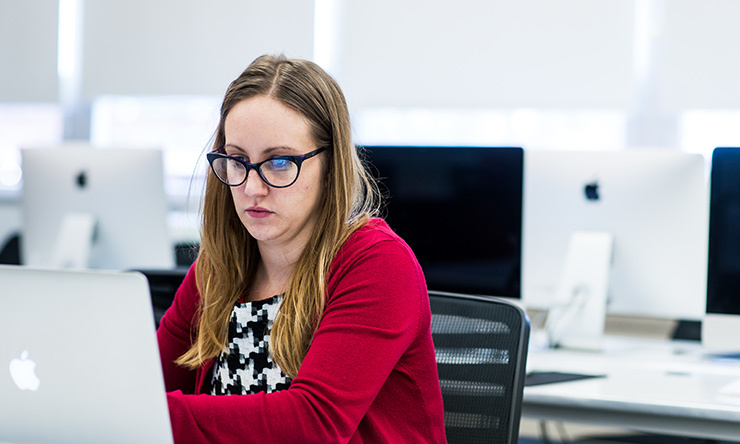 Heather (Behrens) White '10, a triple major in graphic design, book arts, and marketing, is the Creative Design and Marketing Coordinator for Genesis Health System and has a successful freelance design business, Heather White Design. 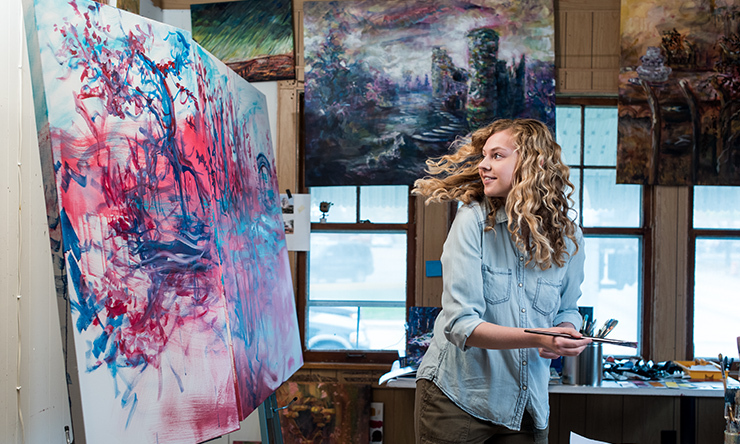 Maurita (Flo) Fitzpatrick '11 paired a marketing minor with her art degree. Today she works for WEA Member Benefits in Madison, Wisc., as a marketing assistant. She also is self-employed as the owner of Maurita Fitzpatrick Graphic Design. Scholarships are available for students who show exemplary talent in their artwork. If you have that type of creative passion, we want to talk to you about how studies at St. Ambrose can enrich your talent and help lead to several fulfilling career paths. An art scholarship recognizes and rewards your special gifts and can provide important financial help for your studies. The Art Scholarship is comprised of two parts: a Portfolio and Questionnaire. Click here to learn more about submitting your portfolio. Share some samples of your work with an Art faculty member to get early feedback about your portfolio before putting it together formally. Send a few .jpg or .pdf files through a quick and secure system: click here to upload your artwork. You can also read some tips on how to compile a great portfolio. Digital submissions are accepted on an ongoing basis, but preference is given to those who submit before March 10. Click here to read about majors in Graphic Design, Book Arts, and Painting. In addition to the required courses listed below, students must complete separate requirements in their major. Adam Little '11 said he "absolutely valued – and still value – the faculty at Ambrose. The instructors allowed me to develop in a way that was specific to me and supported me along the way. I was never discouraged from pursuing or experimenting with new ideas/techniques/materials. 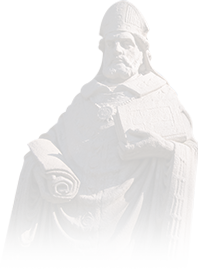 The staff at St Ambrose are some of the most giving and understanding teachers that I have ever met."